Coimbra is a riverfront city in Portugal about halfway between Porto and Lisbon, making it a favorite stop when traveling between the two cities. The best method of transportation depends on your travel preferences, your budget, and your available time. In general, driving or taking the train are the best bets. Coimbra makes for a good day trip from Lisbon as it's only two hours away. If you opt to do this, look into taking a guided tour as the expert can give you local tips and tidbits about the history of Coimbra's medieval old town. If your trip includes round-trip transportation, it will cost more than booking a Viator tour of Coimbra that's just within the city limits and does not include transfers to/from Lisbon. The train is an excellent option as it is quicker than the bus and only slightly more expensive. The fastest train from Lisbon to Coimbra takes about an hour and a half and costs €23, as of February 2019. There is a slower train that is a two-hour ride and costs €19. You'll arrive in the Coimbra-B station, but you can easily connect to the center of town (Coimbra-A station) via a five-minute train ride that is included in your ticket. Book the direct trip from Rail Europe. The bus from Lisbon to Coimbra takes about two-and-a-half hours and costs €14. It's a short 10-minute walk to the center of town, or you can connect with a local bus. Rede Expressos is a popular platform to buy online tickets. You can also go directly to the station and catch the next bus as they run many times throughout the day. The journey from Lisbon to Coimbra takes two hours and is about 200 kilometers (or 125 miles). To get a good deal, make sure to book your rental car as far in advance as possible. Also, keep in mind that most rental cars in Portugal have manual transmissions. If you can only drive automatic, prepare to pay more. It's not recommended to drive in the cities as public transportation is cheap and easy while parking can be a pain. However, the countryside drive between the cities is relaxed and beautiful. All main routes between Lisbon and Coimbra have tolls, so it's best to get the electronic transponder (like Portugal's version of an EZ Pass) from the rental car company, so you can go through the express lane and have your credit card automatically charged. If you want to see more of Portugal, head an hour north to Porto, which is the famous home of port wine. Travel between Porto and Coimbra is also a breeze. 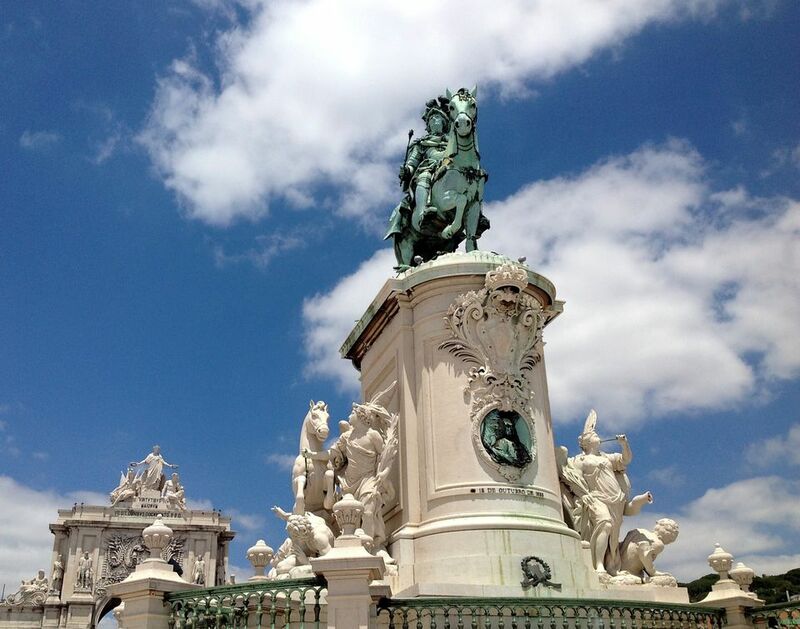 For farther journeys, consider crossing the border to Spain and visiting Madrid. The train trip is long—roughly seven hours—but it's a night train, so you can sleep on the way there.